Knowing how to cut moving costs can be a great deal, given the hard economic times we are living in. the price that you will pay for moving your items from your current place to the new one will determine how you start off the life in your new home. This means that you have to do whatever it takes to get the cheapest price while ensuring quality when moving. Companies like The Unbeatable Removals and others will always be lined thee for you to choose from, but have you looked at the removal quotes from each? Read on to find out why removal quotes are essential. The work of moving your household items from one location to another is no menial job. This requires you to prepare well in advance, so that when the day to move comes, you have an easy task of shifting your family or office to the new place. And given that each house or office is unique, the cost of moving will vary. 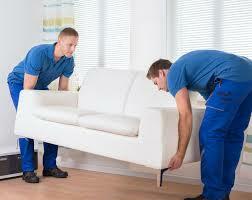 This is the main reason why you need to get removal company quotes, and in good time to ease the preparation. So why exactly do you need removal company quotes? Why get removal company quotes? Why wait till the last minute to start preparing for the move? This will make it expensive given that you might need storage facilities to store the items, as there are chances that the new occupant of your old house will want to move in sooner. With early quotations, you will be in a position to identify the removal company that will help you move the items early enough, so that you don’t need a storage facility. Moving costs are quite high, especially when you have a short time to move. And since everyone would want to save as much money as he can when moving, it is essential to get the movers early on time. By having removal companies’ quotes early enough, you will be able to compare the prices of each company, and find out if you can get a better bargain. With the removal company quotes in your hand, it becomes easy for you to identify how to cut on the costs, you will be looking at the quotes and identify those items that you can carry r pack yourself in order to reduce the total charges of moving the stuff from your home or office to the new one. Removal company quotes are essential for so many things when moving. If it is not to save on the total amount charged, it can be to secure the services of the best removal companies within your area, like The Unbeatable Removals in Sydney.